Deadline for submitting your projects is Wednesday, December 17 at 11:59 PM US Central time. This is Lynda hosting this week's Inspirational! 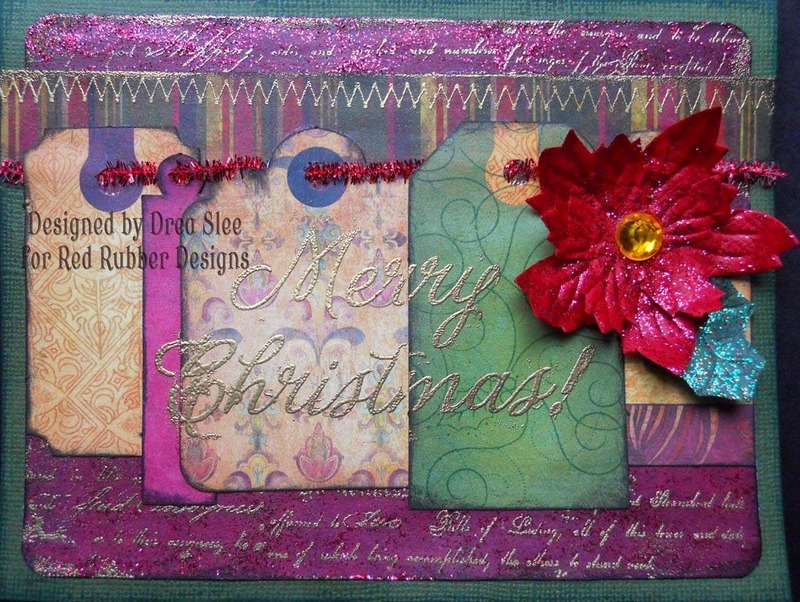 Our theme this week is all about Stamping a Sparkly Holiday Greeting! We want to see your stamped holiday image pumped up with something sparkly!!! Please remember that you must used a stamped item on your project. I made two cards featuring the wonderful poinsettia image from the Holly Season set and sentiments from the Vintage Christmas set. 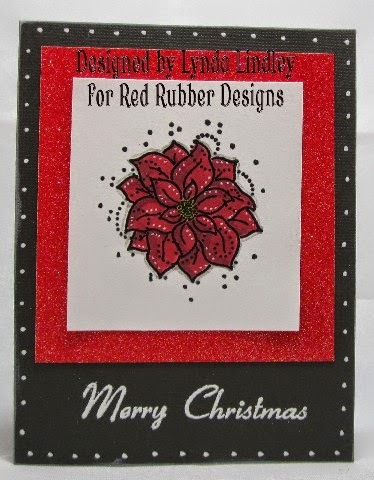 The first card I stamped the image and embossed the flower using a black glitter embossing powder. I colored the image using Copic markers. 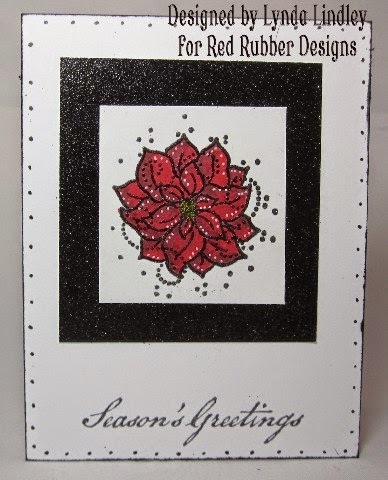 The main image was then backed with black glitter cardstock and than added onto the card base. I then stamped the sentiment in black ink. I then added white dots to the flower using an acrylic art pen and some Wink of Stella glitter marker to the center of the flower. For this next card I used flat black embossing powder and also colored the image using my Copic markers. This image was then backed onto red glitter cardstock. I then added it to the black card base. I then stamped the sentiment in versamark ink and embossed it with white embossing powder. 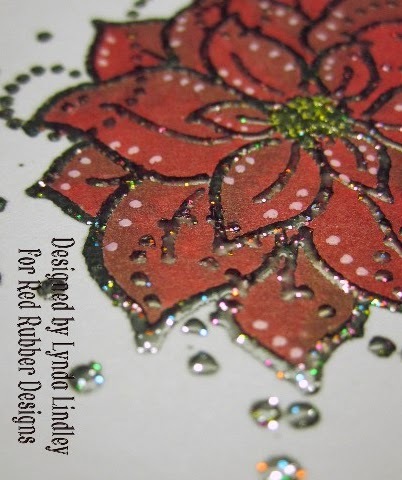 I then added the same white dots and Wink of Stella glitter marker to the center of this flower. Drea used images from Merry Christmas, Running Stitches, Vintage Script, and Holly Swirls.